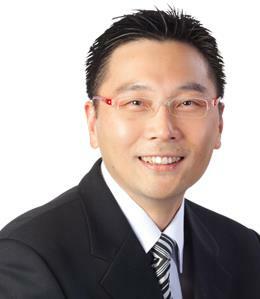 Rush Condos is a New Condo development by Alterra located at Richmond W and Spadina , Toronto. 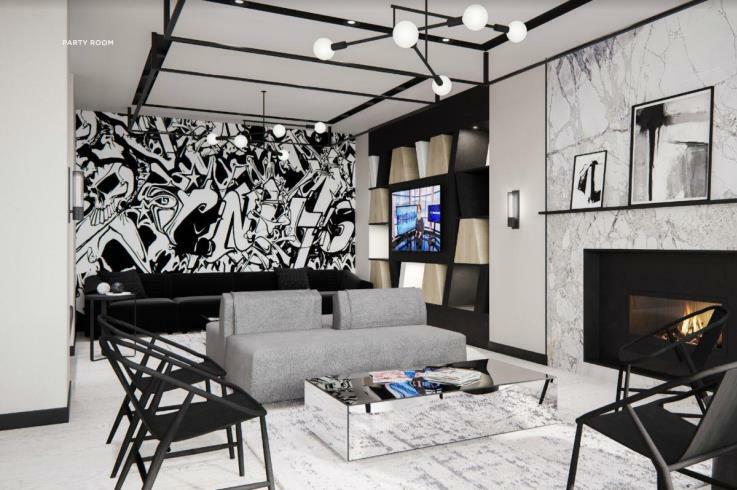 Altera Developments team up with Quadrangle Architects in the development of Fashion District’s next stylish address, Rush Condos. 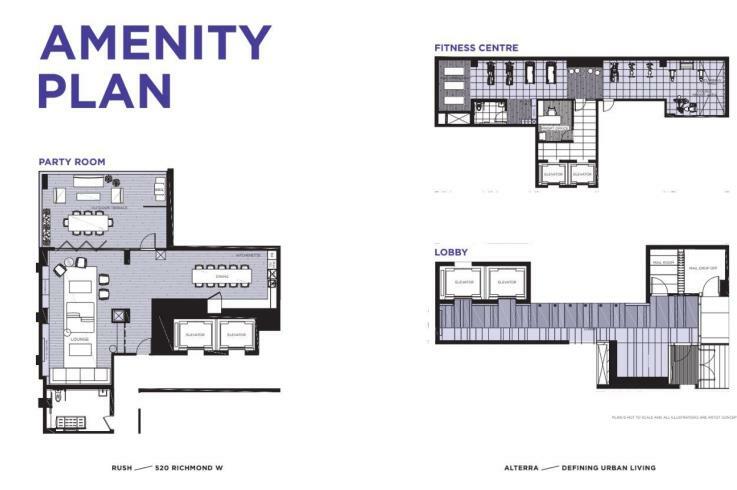 This contemporary mid-rise building of 13 storeys will house just 108 suites. Residents will appreciate the vibrancy of the surrounding area but the slower pace of this particular strip- not to mention, daily necessities are just a stone's throw away. The façade of the building will feature wide windows and balconies for those who prefer to have private outdoor space. Amenities are set to include a landscaped roof-top terrace, a collection of indoor facilities, 36 parking spots and much more. 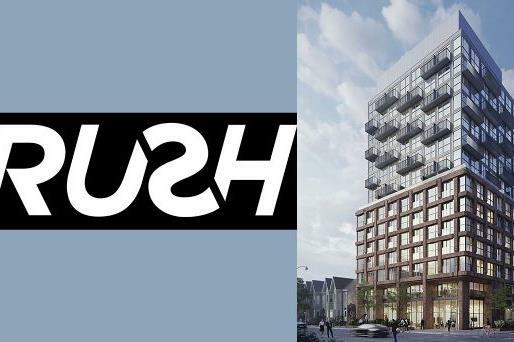 Rush Condos will be a modern addition to one of Toronto’s top “regeneration areas”. This pocket of the city is rich in historic buildings that may become condominiums in the near future. At the corner of Augusta Ave. and Richmond St. W., this condo brings you right to one of Toronto’s “regeneration areas”. This means that much of the area will go through a major revamping which will bring new businesses, communal spaces and modern redevelopment. 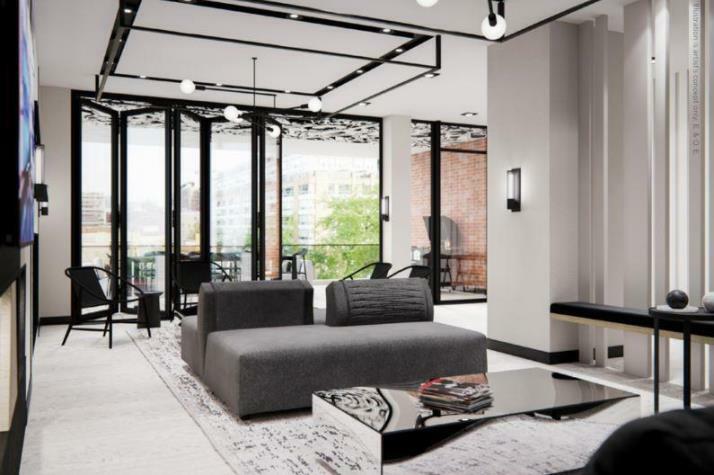 As an area that is already highly accessible to popular communities like trendy West Queen West and the buzzing Entertainment district, the Fashion District will become a popular neighbourhood with a lot to offer. 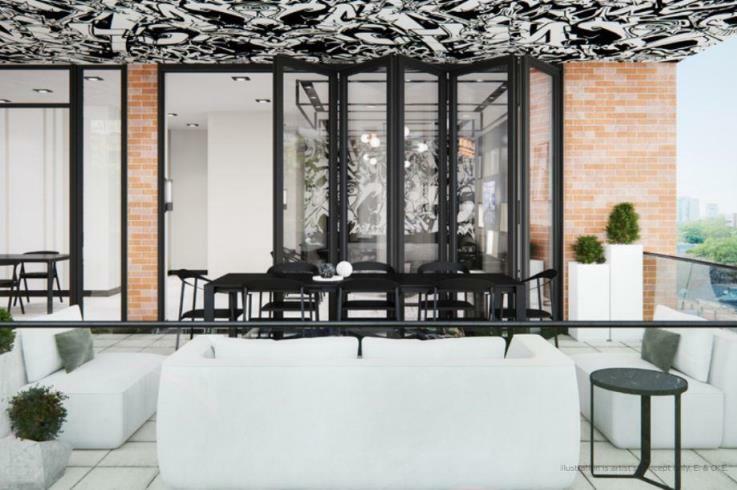 Young professionals are attracted to the area's already established boutiques, restaurants, and daily necessities and the attraction will grow as more of these coveted amenities develop even closer to home. Rush Condos is within walking distance to the Toronto Eaton Centre and Queen West - you will be surrounded by trendy and luxurious brands. Take a stroll in any direction and feast at amazing restaurants like Junked Food co., Beefy Jerks, and Bar Altura. Regeneration of the Fashion District neighbourhood will see a seven-acre redevelopment just south of Rush Condos. This property will feature 7 towers, ample office and retail space as well as pedestrian mews. Augusta Ave. and Richmond St. W is surrounded by multiple transits stops and Osgoode Subway Station is just a 15-minute walk away. Osgoode Station connects riders to Union Station, Go Trains and the Up Express to Pearson International Airport. No address in the city is inaccessible for residents of Rush Condos and that is why this abode has an outstanding Transit Score of 100/100!